The disclosure marks the first public acknowledgement that US companies expect their operations in China, or access to China's markets, may be disrupted by the dispute over Beijing's technology policy. China is running out of American imports for penalties in response to U.S. President Donald Trump's tariff hikes, which has prompted worries that Chinese regulators might target operations of U.S. companies. 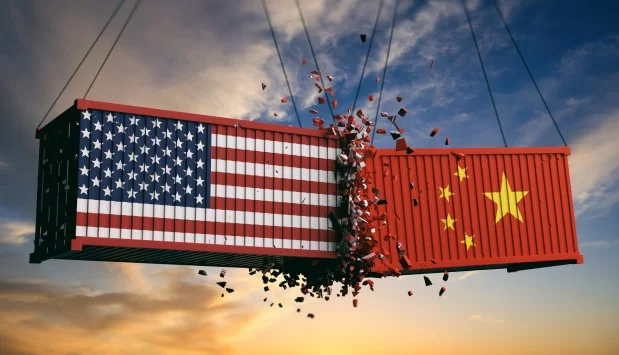 In meetings held over the last three weeks, Cabinet-level officials told USCBC reps that applications from US firms will be put off "until the trajectory of the US-China relationship improves and stabilizes," according to Parker. "There seem to be domestic political pressures that are working against the perception of U.S. companies receiving benefits" amid the dispute, said Parker, who added that Chinese officials want an end to Trump's tariff hikes as well as a negotiated settlement. Foreign ministry spokesman, Geng Shueng, said Monday that China is planning to "definitely take countermeasures" if Trump goes ahead with the hike. Industries in the crosshairs include those tied to engineering or logistics, in which the US has a trade surplus with China. Chinese commentators, meanwhile, think that Beijing may leverage its multitrillion-dollar holdings of US government debt against the US - however that would impose costs on China. In June, Beijing said that it would impose "comprehensive measures" if necessary, without specifying what those may consist of. Chinese business leaders have also rejected Trump's demand that China roll back their "Made in China 2025" initiative, which calls for the state-led emergence of robotics, AI and other technologies. Meanwhile, the Trump administration wants Beijing to reduce the privileges of state-owned companies, and get rid of requirements that foreign companies hand over technology to Chinese partners. That said, Chinese officials in meetings with the USCBS suggested that they would be open to buying more American exports, but "showed no appetite at all" for industry reform, changes to their technology polic or any other US priorities, according to Parker.